The Movie Book makes you an offer you can't refuse, chronicling more than 100 of the best movies ever made and bringing cinema to life. Beginning with the iconic La Voyage Dans La Lune from 1902, right through to Richard Linklater's ground breaking Boyhood, The Movie Book explores the rich history of cinema. The Movie Book covers early visionaries of the 1900's and the golden age of black and white films, to international art-house and 21st-century sci-fi. Through iconic quotes and film stills, to posters, biographies, movie memorabilia and narrative timelines, discover every aspect of your favourite movies, as well as the films you need to see. 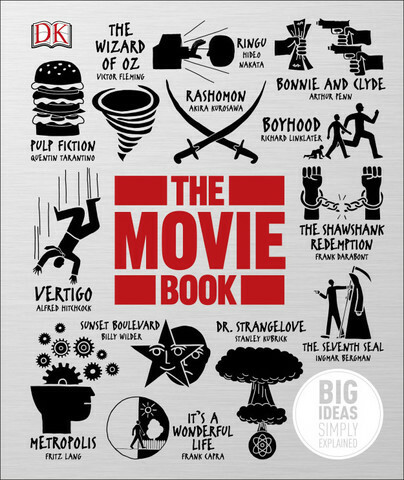 Essential for anyone with a passion for cinema, The Movie Book is ready for it's close up.